Jawatan Kosong JohorPort Mac 2016. Warganegara Malaysia yang berkelayakan dan berminat untuk bekerja di JohorPort Pengerang dan Pasir Gudang dipelawa untuk memohon. 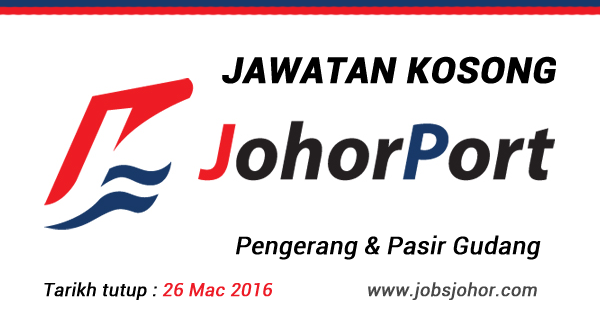 JohorPort job vacancy 2016. Located at the southem-most tip or Peninsular Malaysia, Johor Port is Strategically positioned in the heart or the sprawling 8,000 acre Pasir Gudang Industrial Estate. The area is home to a comprehensive range or industries specializing in petrochemicals, engineering, furniture, telecommunications, electronic goods and food products among others. Diploma, Engineering (Electrical/Electronic) or equivalent. * Required skill(s): Certificate of BO 33KV and above Electrical Chargeman from Suruhanjaya Tenaga. * Knowledgeable and experience as BO Chargeman 33KV, 415V and 3-Phase high current equipment maintenance, installation, testing and commissioning. * Applicants must be willing to work in Pengerang & Pasir Gudang. * Preferably Managers specializing in Engineering Electrical or equivalent. transformer, switch gear, switch room, equipment and building. * Carry out all the maintenance activities relating to LV and HV installation including substations. maintenance according to standard specifications and regulations. * Attend any emergency cases of electrical system failure and carry out troubleshooting and rectification of works. 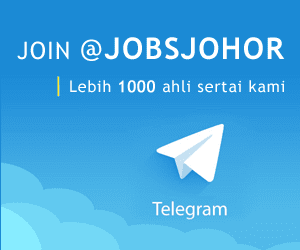 Iklan rasmi jawatan kosong di JohorPort bulan Mac 2016, dan cara permohonan online sila layari laman sesawang JobStreet disini.